Available: 19. March 2018. - 31. December 2019. Relax in Villány for one more day gratis on weekdays: cellar visit tour, massage and wellness facillities are waiting for you. Now your reservation worth one more night gratis for you. 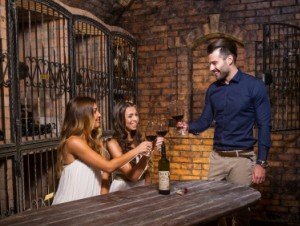 Your experience in Villány will be better with guided cellar tour, wellness facillities and massage. Do not miss the opportunity, make your reservation today. Usage of wellness facilities (pools, hydro massage, Finnish style sauna, infra sauna, steam bath, ice well). This package is available only on weekdays (from Sunday to Thursday) except on Holiday Seasons.